Unfinished Clear Pine; Many sizes in stock ready to ship! 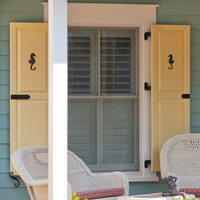 Note: All custom movable slat shutters have a minimum order cost of $667. Contact our office for a quotation. Spanish Cedar made to order. Louvers, Panels and Board & Batten. 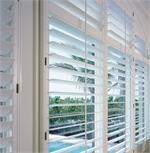 Composite shutters. Primed or Pre-finished to match any major Window and Door manufacturer.